The new BMW X3 range will be topped by a twin-turbocharged six-cylinder, 355bhp and 369b ft X3 M40i model with four-wheel drive and a 0-62mph time of 4.9sec. Details of the performance SUV were published on the official BMW Hong Kong site, ahead of its global reveal next week. The site features images, video and specs of the new SUV range. They show that the new X3 gets a more rounded look than the current car’s angular styling, as well as full LED front and rear lights. According to the site, there will be three engines available at launch - at least in the Hong Kong market. There will be four and six cylinder diesel-engined variants badged xDrive20d and xDrive30d, along with a sole petrol powertrain, the M40i xDrive. 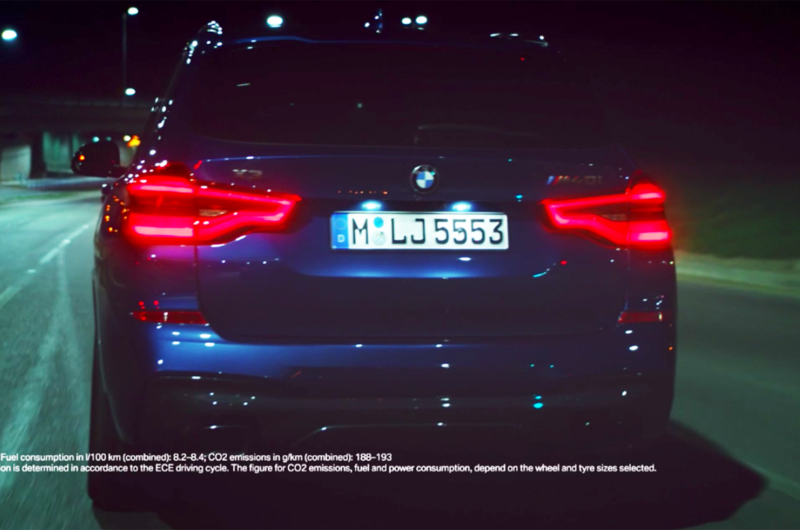 Fuel consumption and CO2 figures have been revealed for all three: between 52.3mpg and 56.5mpg for the four-cylinder diesel, between 47.1mpg and 49.6mph for the six-cylinder diesel and 33.6mpg-34.4mpg for the x3 M40i. 132-142g/km, 149-158g/km and 188-193g/km are claimed respectively. These lower figures are in part down to reduced weight and improved aerodynamics, although the leak stops short of putting numbers to the claims. More aerodynamic wing mirrors are also claimed to feature. 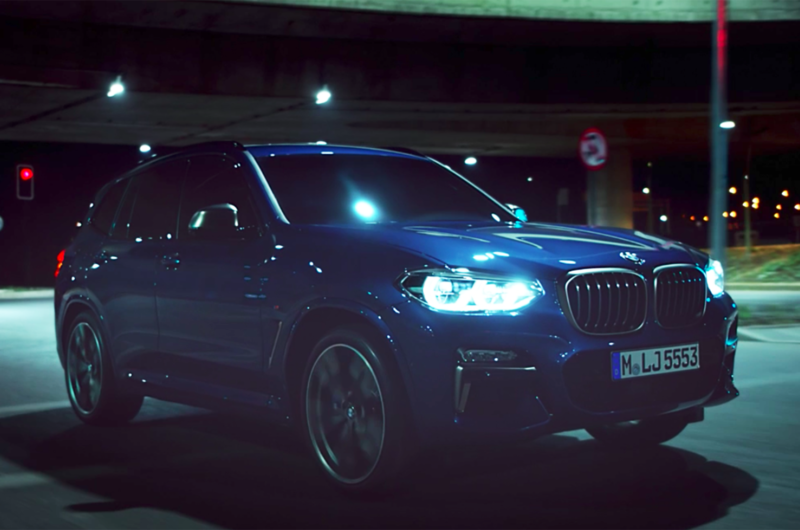 The 155mph X3 M40i xDrive has specially-tuned M Performance suspension and steering, as well as exclusive grey paint and 21in double-spoke M alloys. Its performance tops that of the Audi SQ5, which reaches 62mph in 5.4sec; half a second slower than the BMW. The two cars have an identical 369lb ft of torque, but the SQ5 has 6bhp less. The leaked video suggest that semi-autonomous systems could feature: the driver is shown taking his hands off the wheel, although the systems do not seem to be at the same level as the hands-off technology set to be featured in the upcoming Audi A8. A tailgate operated by waving a foot under the corner of the car, as well as a large head-up display and button-operated folding rear seats are shown to be available in the car’s range, but the car’s equipment levels have not been revealed. The site does suggest that an electric bicycle is also available as an accessory for the SUV. Why the heck do you post a video about the X3 from 2011? WTF? I saw a Velar today and it looked awesome. So sleek and futuristic. Then I logged on and saw this.... wow talk about old fashioned! I've seen some 'new looks' in my 46 years. Some 'great', some 'interesting', some 'thought provoking', some 'disappointing' and some 'garbage'. Clearly, this new look X3 doesn't fall into the 'garbage' box, but to say that I am slightly 'disappointed' is an understatement. Totally accept the reasons why BMW have focused on a consistent design theme and developed all their cars based on that theme. So as you get 'bigger' you just get 'bigger' rather than create individual character with each product. The problem with that strategy is that the design has become tired, predictable, ordinary, humdrum, lacking imagination. Okay BMW is bigger than the JLRS of the world, but their growth is based differentiating every product so that each has its own character. While, Evoque (now beginning to look tired), Velar, RRS and RR all have a 'Range Roverness' about their design, each one has its own character above and beyond the basic design theme. And that's why Range Rovers have strong residual values and 12 month old BMWS are increasingly '10 a penny'. BMW may sell more cars, and make lots of money on finance, but the long term essence of BMW is being compromised. It has more aerodynamic wing mirrors. very dull imho sure it will drive well but no will to live . Ugly inside and out. BMW doesn't seem to be able to design a good looking car anymore. Would pretty much chose anything else in this category over it. The new XC60 looks fantastic, as does the Velar. The F-Pace and the Stelvio aren't perfect, but at least they look good. The GLC and Q5 are kinda boring, but solid. When Jaguar was doing this in the 90s and 00s everyone was rightly criticizing them. Then they came up with the XJ in 2009 and here we are 8 years later with the same XJ. Yawn BMW and yawn Jaguar, but I'm sure Roadster will have an explanation: well why would you change the most brilliantly fantastic etc etc. I think so,all the Cars makers do this,but,it our choice,our money,we buy what we like,and that's what matters. ...it could have been worse! At least they've straightened up the sagging belt line. Also, the two parts of the tail lights no longer look like they come from different vehicles. The latter has been a bizarre "feature" of many recent BMWs and defies any rational explanation. Never thought I would see Rangies being held up as design icons. Without exception they look like a Ford Transit that took Daddy's Platinum Card down to Halfords! Slab sides and Bling! The Evoque being as per above, but after being rolled. The Velar follows this path.